St. John's used a six run 6th inning to erase a 2-0 deficit. In the inning Dylan Winebrenner (1-3) had an RBI triple and James Triantos (1-4, 2 RBI) had a two RBI double. Justin Riemer earned the win with 1 1/3 inning of relief. Next up the Cadets (19-2, 9-0) face Arundel on Thursday, 4:30 at St. John's. St. John's jumped on top in the 3rd on a 2 out, two RBI double from James Triantos. Casey Gibbs drove in another run with an RBI single in the 4th and the offense added seven more in the 5th on on seven hits. Triantos (3-4, 4 RBI, 2 triples) and Gibbs (3-3, 3 RBI, double) led the offense. Triantos also picked up the win striking out seven over four innings (1 hit, 0 runs). St. John's overcame an early 1-0 deficit, scoring one run in the 4th, four in the 5th and three in the 6th. Sr. Ian Remalia struck out eight over five innings allowing only three hits. Remalia (2-4, RBI), Fr. James Triantos (3-4, 3 RBI) and So. Casey Gibbs (3-3) led the offense. Next up the Cadets (15-2, 8-0) will travel to O'Connell on Thursday for a 4:30 start. Down 1-0 in the first inning, the Cadets scored six runs with two outs. The offense tacked on three more in the 3rd and two more in the 4th to complete the scoring. Jr. Luke Schauer struck out five in five innings while allowing only one unearned run. Jr. Dylan Winebrenner (3-3, 3 RBI), So. DM Jefferson (2-2, 2 RBI, SB) and Jr. Justin Riemer (1-2, 2 RBI) led the offense. The Cadets (14-2, 7-0) will travel to Paul VI on Tuesday for a 5:00 start. 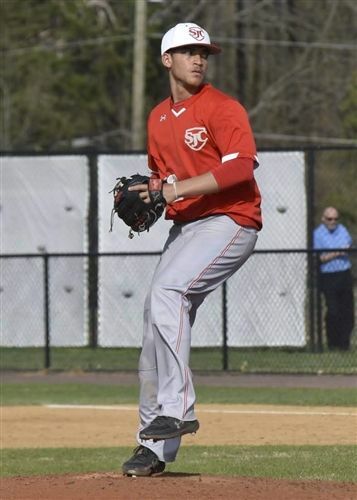 Sr. Sean Culkin struck out eight over five innings while allowing only three hits to pick up the win. 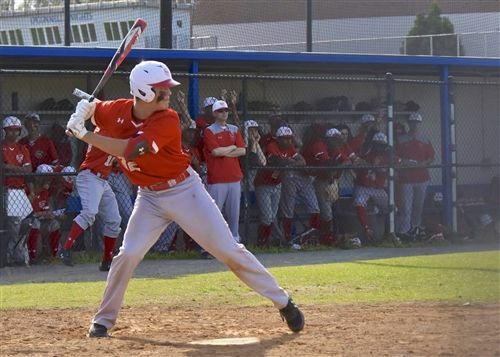 Jr. Justin Riemer went 3-3 with an RBI to lead the offense. The Cadets (13-2, 6-0) will play McNamara tomorrow at 3:00 in WCAC Conference action. All nine hitters reached base safely for the offense. Quinn Allen (4-4, 2 RBI), James Triantos (3-4, RBI, double) and Justin Riemer (1-2, RBI) led the way. Triantos also picked up the win in relief allowing no hits and no runs while striking out three over three innings. St. John's (12-2, 6-0) will host IAC opponent St. Stephens on Friday at 4:30. Mark Gibbs heads into his 12th year as the head coach for the Cadets. Gibbs played for the Cadets from 1993 to 1996 and was a three-time first team All-WCAC selection and a two-time first team Washington Post All-Met selection. 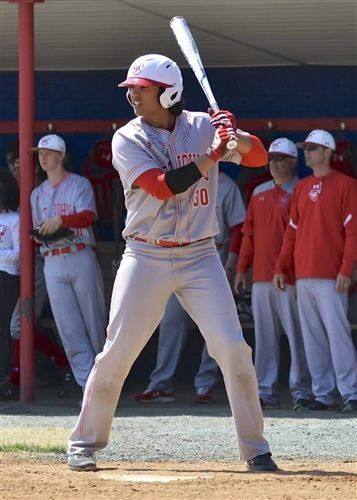 Following his senior season, he was named WCAC Player of the Year and Gatorade Player of the Year, as well as one of College Sport Magazine’s Top 100 players in the country. Gibbs played four years of college baseball at George Mason University. He was a four-year starter at shortstop for the Patriots and finished in the top 10 in hits, games played, hit by pitches and fielding chances. After college, he was signed as a free agent by the Baltimore Orioles and spent three and a half years in professional baseball, advancing to Double A (Bowie) with the Orioles. In five of Gibbs’ first 11 seasons, the Cadets were nationally ranked by the major baseball publications (Baseball America, Collegiate Baseball, ESPN, Rivals.com, Perfect Game and USA TODAY). Before their 2008 season, St. John’s graced the cover of Baseball America and the Cadets enjoyed a profile article in the magazine’s high school preview. St. John’s was the first team from the mid-Atlantic to ever be profiled in the preview issue. Gibbs has sent 77 players into college baseball, had 15 players who were drafted by or signed to free agent contracts with professional teams and has an overall record of 248-69, including ten 20-win campaigns. 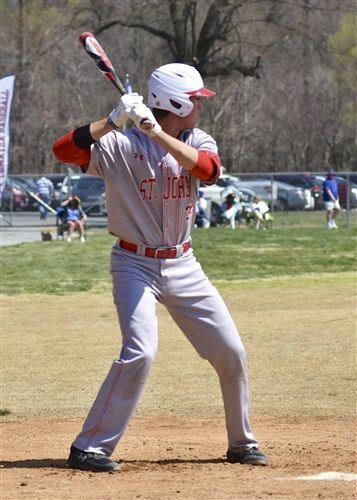 Players from St. John’s have advanced to some of the most prestigious college programs in the nation, including College World Series participants University of Virginia (Scott Silverstein, Nick Howard), Mississippi State University (Errol Robinson) and University of North Carolina (L.J. Hoes, Josh Leehmuis), as well as SEC powers Mississippi State University (Nick Routt, Alex Deise) and University of Tennessee (Michael Flax, Brodie Leftridge). During his 12 years as the head infield instructor (2003-16), Gibbs had 23 different infielders earn college scholarships (32 total played college baseball). The Cadets have won or tied for eight WCAC regular season titles (2007, 2010, 2012-17) and five WCAC tournament titles (2011, 2014-17). During that time, the Cadets have posted a 144-28 WCAC regular season record, which represents a winning percentage of .837. Gibbs was named as an assistant coach for the 2009 Under Armour All-American game at Wrigley Field in Chicago and as the Washington DC Extra Coach of the Year in 2010. He was also named WCAC Coach of the Year in 2012, 2013 and 2015 and the 2015, 2016 and 2017 USA TODAY Washington, DC, Coach of the Year, as well as The Washington Post All-Met Coach of the Year in 2016. Gibbs is heavily involved with youth baseball in the Washington, DC, area. He is a partner in Diamond Skills Baseball, a local baseball camp recognized around the country for its outstanding camps for junior high and high school players. In 2016, Gibbs brought in more than 80 college coaches to work at the Diamond Skills All-American Camp, which is designed to allow serious high school players the opportunity to learn from top college coaches during the winter. 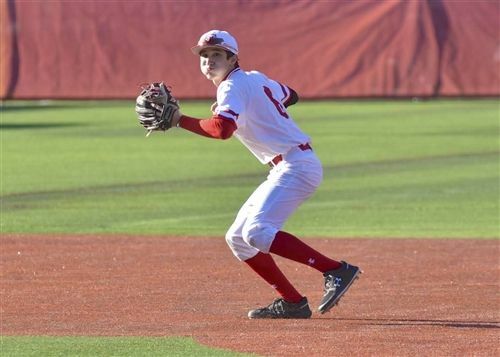 His Diamond Skills Baseball Prospect Camp also brings in some of the top college coaches from across the nation to work with serious junior high players during the summer. His work with college coaches during recruiting season and with these camps has allowed him to develop an extensive network of close friends and contacts within the college coaching profession. Gibbs currently works in the Alumni and Development Office at St. John’s and lives with his wife Mindy, son Matthew and daughter Allie in Silver Spring, MD. Walt Cline enters his ninth year as the speed and movement coach for the St. John’s baseball program. Cline is a movement and sport science specialist and works with all aspects of athlete development, including strength and conditioning, speed and movement training, injury prevention and return-to-sport strategies. As a professional, Cline has served as an educator, coach and consultant in collegiate, scholastic and professional settings in the United States. He is currently the owner and operator of “H2K” (H2 Kinetics LLC and H2Ksports.com), and he serves as a volunteer assistant track and field coach at the University of Virginia (movement specialist). As a sport science coach, Cline has worked with prospective scholastic athletes, collegiate athletes and professional athletes in a variety of sports organizations, including: NFL, MLB, MLS, NBA, NCAA (ACC, SEC, PAC12, MAC), WBC/WBA, WLPGA and USTA. During his seven years in the mid-Atlantic region, Cline’s work and contracts have included, but are not limited to: director of athlete development (St. John’s College High School baseball program, Washington, DC: 2009-present); speed movement consultant (DC United); movement/strength and conditioning consultant (Washington Nationals); director of athlete development (Velocity Sports Performance, Alexandria, VA); consultant co-director of athlete development (Velocity Sports Performance, Westchester, NY); concept of functional fitness project/combat conditioning, SME (United States Marine Corps); and consultant and clinic speaker on movement and sport science application to area sports organizations and supportive medical services. Cline started his career serving as an assistant coach for both track and field and football at Fort Hays State University in western Kansas. He returned to the scholastic level in western New York, teaching health and physical education and coaching multiple championship teams at multiple schools in both football and track and field. When he began to coach and consult with professional athletes in 2005, Cline moved to the mid-Atlantic region and helped open and establish one of the largest and top-operating sports-performance training facilities in the United States. He continues to work at large in the DC area with organizations, team sport athletes, runners, cyclists, the military and other groups and individual projects. Cline earned a bachelor’s degree in physical education/exercise science from Canisius College in Buffalo, NY, where he competed in football and track and field. He also holds a master’s degree in health and human performance from Kansas State University (at Fort Hays). Cline is a certified strength and conditioning specialist with the National Strength and Conditioning Association and the owner and operator of H2K. The 2018 campaign will be Ed Gibbs’ 26th as a coach at St. John’s. In 1993, Gibbs took control of a program that had gone several years without a winning season. In his first year, he guided the Cadets to a 13-12 record, and in his second season, Gibbs went 24-5 and began an amazing streak of winning 20 or more games in 13-straight seasons. He established St. John’s as an area powerhouse and pushed them into the national rankings. He compiled a 318-78 record. His accomplishments include seven regular-season championships, two WCAC conference championships (1999, 2005) and three WCAC Coach of the Year selections, as well as being named the 2005 Washington Post Coach of the Year. 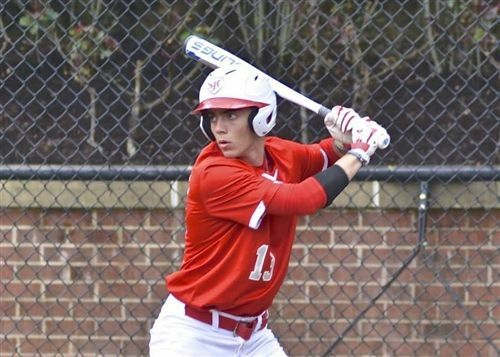 He sent six players into professional baseball and had 11 first team All-Met selections, seven Gatorade Players of the Year, five USA TODAY Players of the Year and 59 first team All-WCAC selections. He sent an incredible 41 players into college baseball and, in 2008, was inducted into the St. John’s College High School Athletic Hall of Fame. Gibbs is in charge of the base runners and outfielders at St. John’s. During his time as coach, the Cadets have stolen at least 70 bases each year. He has also been the driving force behind many of the baseball facility renovations and recently had the baseball field at St. John’s named for him. He currently lives in Rockville, MD. The 2017 season was Andrew Lowman’s tenth as a coach in St. John’s baseball program. Lowman is responsible for the day-to-day development of all SJC catchers. Since he took over as head catching instructor, the Cadet backstops have thrown out more than 50 percent of base-stealers and averaged less than 10 passed balls per year. He has tutored eight catchers who have gone on to play in college, including five to the Division 1 level (UNC-Wilmington, Delaware, Southern, La Salle and VCU). Lowman is a 1991 graduate of Riverdale Baptist and was a college athlete at Frostburg State University. He currently lives in Lothian, MD, with his wife Alyssa, son Josh and daughter Ansley.